It’s been a great 25 years for Msgr. 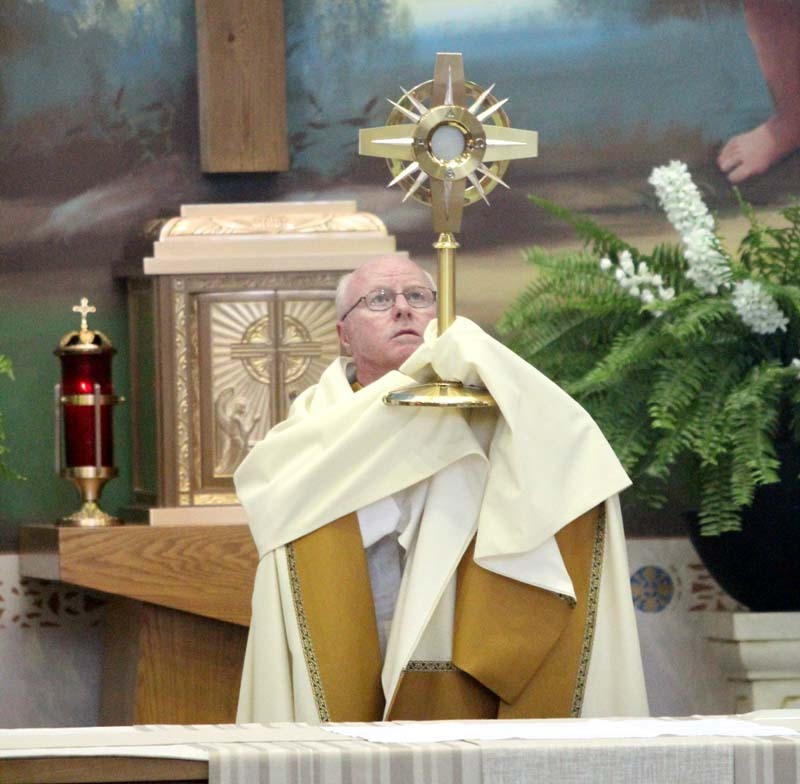 Joseph Prior, the pastor of St. John the Evangelist Parish in Morrisville, who on May 19 will mark his silver jubilee of ordination. “God has blessed me in many ways and the priesthood is high on the list,” he said. Readers of CatholicPhilly.com and its predecessor, The Catholic Standard and Times, may know him best through his highly readable commentaries on the scriptures which at this point stand at 143 columns in the website’s “The Mass in Focus” section. The eldest child of Hugh and Rosemary Prior, he grew up in Christ the King Parish in Northeast Philadelphia along with his sister Jeanne and brothers John and Jeff. After Christ the King School he went on to Archbishop Ryan High School, graduating in 1982. The idea of becoming a priest first came to him in grade school, but the sense that this is what God wanted him to do grew stronger in high school, especially approaching his senior year. He had to make a decision either for a college or the seminary. Where would he go? Talking it over with Father Walter Benz at Christ the King, he was assured that just entering the seminary isn’t a permanent commitment; there would be ample opportunity to make a final decision. Like many young men before him, he really hadn’t discussed it with his family, but when he broke the news his parents were thrilled. That was not surprising to him, because more than anyone else, Msgr. Prior attributes his vocation to his mother and father. He entered St. Charles Borromeo Seminary straight from high school. Over the next eight years he was fortunate that he never had any heavy doubts about his decision. He enjoyed his studies and the camaraderie with his fellow seminarians. His first assignment after ordination by Archbishop Anthony Bevilacqua in May 1990 was as a parochial vicar at Our Lady of Good Counsel Parish, Southampton, not far from his family home. After two years he was sent to teach at St. James High School in Chester for a year, then in 1993 it was off to Rome for six years of graduate studies, including one semester in the Holy Land at the Pontifical Biblical Institute in Jerusalem. His focus was on Sacred Scripture, and after his return to Philadelphia in 1999 with his SSL (license to teach Scripture) and STD (doctorate in theology) under his belt he was immediately assigned to St. Charles Seminary to teach Scripture and Greek. 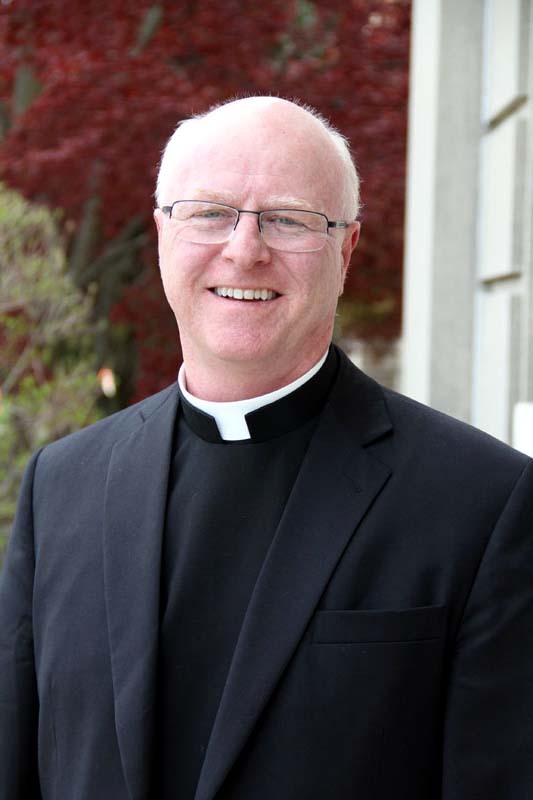 He quickly moved up to academic dean of the Theology Division and in 2004 was named rector of the entire seminary, a post he held until 2010 when he was given his present assignment as pastor of St. John the Evangelist. Msgr. Prior enjoys parish work, and is especially proud that two young men from the parish will be ordained priests this year, although not for the Archdiocese of Philadelphia. For relaxation during vacations he and Father Jim Oliver, a friend from seminary days, do long distance bicycle tours including a major part of the famed Camino de Santiago pilgrimage to Compostela in Spain, where tradition says St. James the Greater is buried. They have biked from Roncesvalles on the French border to Compostela near the Atlantic coast. Another year they attempted the portion from Paris to Roncesvalles, but it was difficult because the old pilgrim trails are often now major highways that are not safe for bikers. They have also biked a good portion of the East Coast of the United States starting at Key West and also through Ireland, Corsica and Sardinia. Such trips can have a spiritual element, although Msgr. Prior’s usual daily spiritual life is much more mundane, focusing around the Liturgy of the Hours, meditation on the daily reading and of course Mass. Wow 25 years of leading all of us to a better understanding of Bible scripture and our salvation goals! God has put you in a very fulfilling role, and your leadership has been ever present. Also, at St. John’s you have grown our faith community in so many ways. We are all blessed with your teachings and leadership of our Parish. There are many more years to go and God will give you the vision and the strength.